In 2010, Malcolm J. Brenner shocked the world with Wet Goddess: Recollections of a Dolphin Lover. Now he does it again with Growing Up in the Orgone Box: Secrets of a Reichian Childhood. 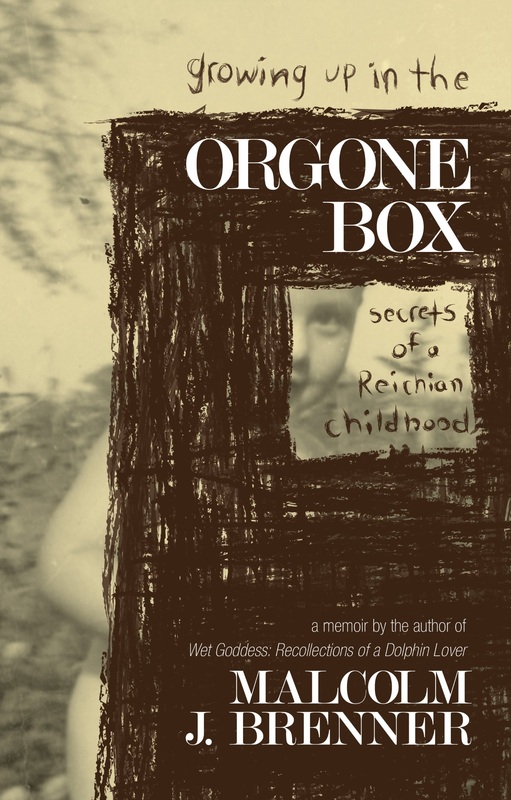 Frightening, funny, touching and raunchy, Growing Up in the Orgone Box is the true story of a small boy trying to cope with a slowly crumbling family and a world – he’s told – that would never understand. “Reading Growing Up in the Orgone Box feels like being inside the brain of a boy building his own enlightenment. A fascination with nature and with scientific instruments… A battle of reasoning against scams and superstitions. Bit by bit, knowledge conquering fear.